Beados Gems is a wonderful way to create jewelry and pendants. It is called a design studio and I totally agree with that. It has everything to work on pretty sets, does not take much space and designed for children's little hands. Working with Beados Gems jewels can bring not only pretty jewelry but also help children develop focus and concentration as little beads require some patience and accuracy. When we first opened the Beados Gems set, Teddy was lost a little, trying to put gem beads by color and then started using them. Beads all rolled around and mixed up. After a while he managed to put everything in order, use trays and design templates. The most helpful feature in the set for Teddy was the gems container where beads are sorted by color, you need to turn the container to choose the color you need and then using the attached pen put the selected bead on a template. He made a pretty bracelet, a pendant and came to the point that he can design templates himself. 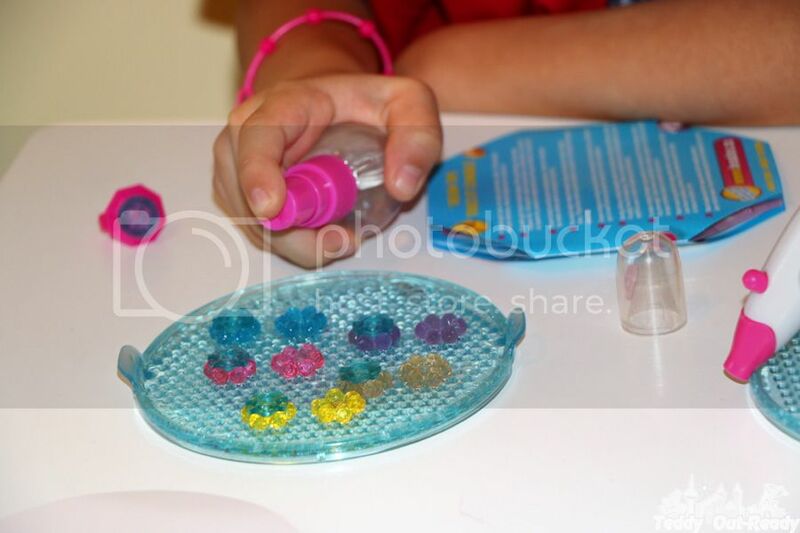 Kids use Beados Gems Designer set to create their own Beados items with beads that stick together with just a spray of water and no mess & tears. Using this designer studio, children can design one layer or two layers jewelry, for example bracelets where layers are connected with special disks. There are also accessories including jewelry plugs, ring, necklace and bands in the set. To finalize your work after it dried out, you just need to attach your creation to selected accessories. Overall, I think it is pretty cool design set for kids who love working with beads and create pendants, bracelets, jewels and necklaces. For Teddy the work was a little tedious but he became more attentive to details and focused after playing with this set. 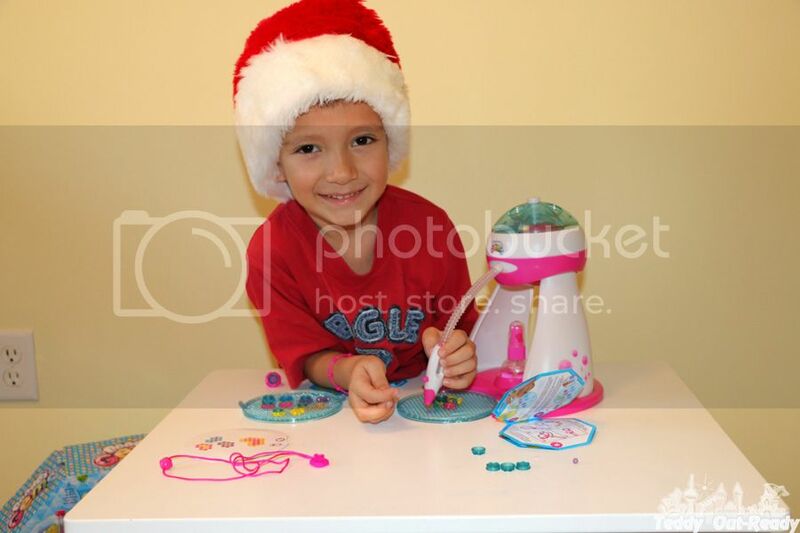 Now he is thinking about making some logos with beads and hope he will be patient enough to fulfill his ideas. The price for Beados Gems Designer Studio is about $37. 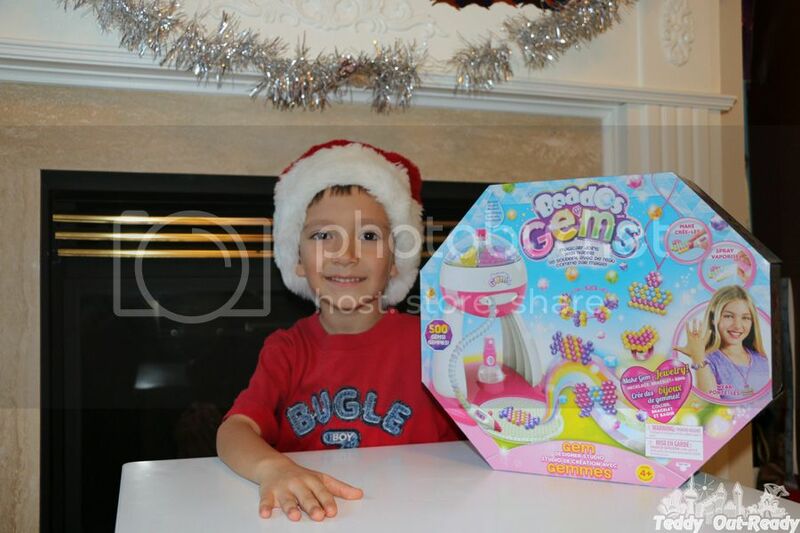 Beados Gems Studio and activity packs with various designs including Shopkins are available at major Canadian retailers like Toys ‘R’ Us, Sears, Walmart and London Drugs.